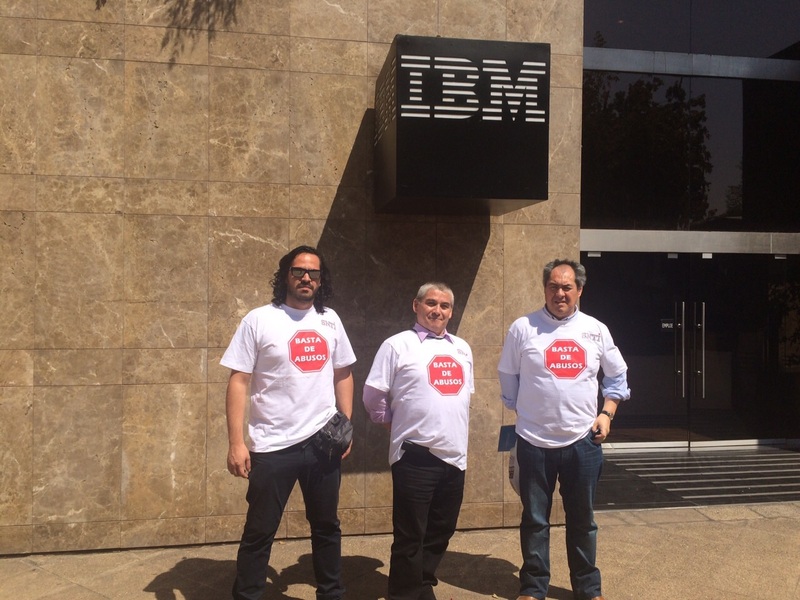 IBM Chile union members with T shirts that say “Stop the Abuse”. IBM France announced that it will cut 345 jobs by October, a few days after the CGT union released the information, AFP reports. All of the jobs, 4.5 percent of the workforce, are being eliminated on a voluntary basis, mainly in the form of early retirement. Two thirds of the affected jobs will be in infrastructure technology services (160 jobs) and support functions (73), according to the UNSA union. IBM had 26,000 employees in France at the end of the 1960s, but there are only 9,000 now. The latest job cuts were in 2013 (689). IBM launched a plan in the beginning of 2016 to send 320 jobs to Global Delivery (india mainly) and suppress 360 jobs in France for GTS-IS. All workforce unions in a common action decided to refuse this plan and decided to take the case to court. News from France. At this moment, news are to fire 360 people in GTS IS. It will be essentially IT Specialists and Project Managers. Unions are fighting to open this job cut to all IBM France employees, and to have only volunteers, it’s still in negociation. We will be fixed in August. But in the meantime, we are also externalizing support functions, at the end it will be more than 360 people who will leave the company before the end of this year, with a negative impact on our image for our customers. By the way: IBM Germany will cut 3,000 jobs (GBS and support staff) in 2016 – no one knows how many on a voluntary basis. IBM UK GTS IS Have told us in ECC communications that we are to have 185 job cuts from approx 1340 staff. We are been given no offer of a voluntary seperaation, so we are governement guidlines amount.